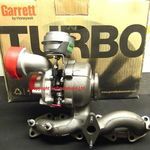 Looking for Turbo Parts & spares or a Brand New or reconditioned Turbocharger? Turbo Rebuild are one of the most reputable Turbo Reconditioners in the UK and professionals in Turbo Reconditioning. Based in the sleepy village of Preesall, between Blackpool and Garstang in Lancashire, we serve not only the local area including Lancaster, Preston, Blackburn, Bolton and Burnley, but the rest of the UK and even the WORLD! With the help of our Turbocharged carriers, we can quickly and efficiently offer Turbo Reconditioning, Turbo Remanufacturing, New Turbochargers or Brand New Turbo parts to bring your Turbo back to life and get you back on the road in the shortest space of time. Our workshop is equipped with not only all of the standard equipment you would expect to see in an engineering workshop but also with both our slow speed Turbocharger twin plane rotor balancing machine, high speed turbo balancing machine known in the industry as a VSR or Vibration Sorting Rig, and also our state of the art Turbo VNT calibrating machine and Turbo Actuator calibration machine. This, alongside our various electronic turbo actuator testing and calibration machines, and our access to full CNC machine shop, together with 15+ years working with Turbochargers and our wealth of experience in the Turbo Reconditioning industry, results in Turbo Rebuild being the first choice for all your Turbo needs. Read more about Turbo Reconditioning here. 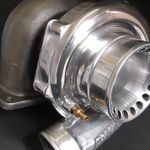 Turbo Rebuild specialise not only in Reconditioned and Remanufactured Turbo, but also New Genuine Turbochargers and both Genuine and aftermarket Turbo parts and spares. Our Expertise in the Turbo world cover passenger cars, light vans and commercial, marine and plant. 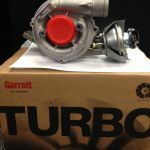 With the help of OE suppliers of Garrett, Borg Warner, Holset, Mitsubishi Turbo, and Toyota, we can guarantee a quality Turbo Rebuild EVERY time, and even better, you will be surprised at how cheap a Turbo Rebuild can be! 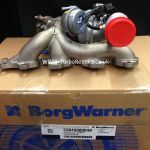 Turbo Rebuild supply various tuning companies as well as other Turbocharger companies with Turbocharger parts, as well as Turbo upgrades and Hybrid Turbochargers and Hybrid CHRAs. These can be "unbranded" allowing you to Brand the unit as your own. We are happy to look into group buys on any of our products and/or services via owners clubs, as well as social media groups like Facebook pages etc. We will also consider requests for official links between our company and above. If you have a group buy request on a certain Turbo part or service then get in touch now. If you are looking for a supplier of a Genuine OE replacement Turbo, then again we are the Turbo professionals you have been looking for. Turbo Rebuild can supply Genuine New Turbochargers, the same that your car was fitted with in the factory and the same Turbo as you would get from the main dealer like Ford or Vauxhall, with only one difference, the price! Brand New Genuine TurboS supplied by Turbo Rebuild can be, in some cases, up to 20% cheaper than the main dealer price.... Give us a try! 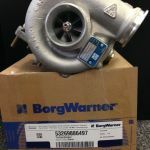 If you have been told you need a new Turbo, yet it’s more a case of you only need a Turbo part, or if you are in the trade and require trade Turbo parts, then we’ve got that covered too! 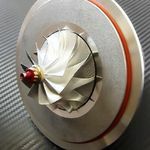 Turbo Rebuild can supply most Turbocharger components, Turbo parts and Turbo spares in our web shop, meaning you can quickly and efficiently buy Turbo parts online. We can supply everything from a Turbo bolt through to a complete Turbo CHRA or Turbo cartridge as well as everything in between, like Turbo Rebuild Kits, Turbo Compressor Wheels and New Turbocharger Shaft and Wheels. New Turbo parts and spares can allow you the chance to rebuild or repair your own Turbocharger whilst saving you £££££. 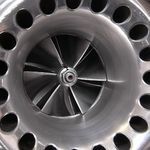 For more information on Turbo parts take a look here. We have a huge range of stock in both complete NEW Turbochargers and remanufactured Turbos, as well as components like Turbo Compressor Impeller Wheels, Turbo Turbine Shaft and Wheels and Turbo CHRA's. A DIY Turbo rebuild offers much satisfaction and an unrivalled supply of products for the trade and DIY customers alike, which ensures you are off the road for the shortest time possible and your Turbo boosts like new! To make life as easy as possible to find your new turbocharger or to just find some new Turbo parts, we have a very detailed search engine, where you simply put in your Turbo part number or serial number and it will then list all the Turbo parts fitted to your unit. Don’t know your Turbo part number? We have a handy guide to help you find the Turbo part number on your Turbocharger. Still struggling? In this case, simply put in what you know, such as make and model, engine code etc and our search will only bring up Turbochargers and Turbo parts fitted to them vehicles! Turbo Rebuild are determined to make rebuilding, reconditioning and remanufacturing Turbochargers as simple as possible, by removing the stress and by offering a Turbo Service with delivery at Turbo Speed. Turbo Rebuild... We ARE the Turbo Professionals!